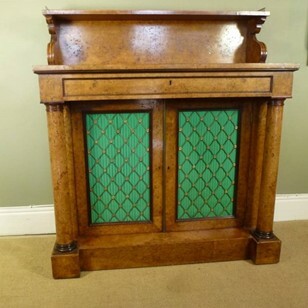 A 19th century cylinder cupboard. 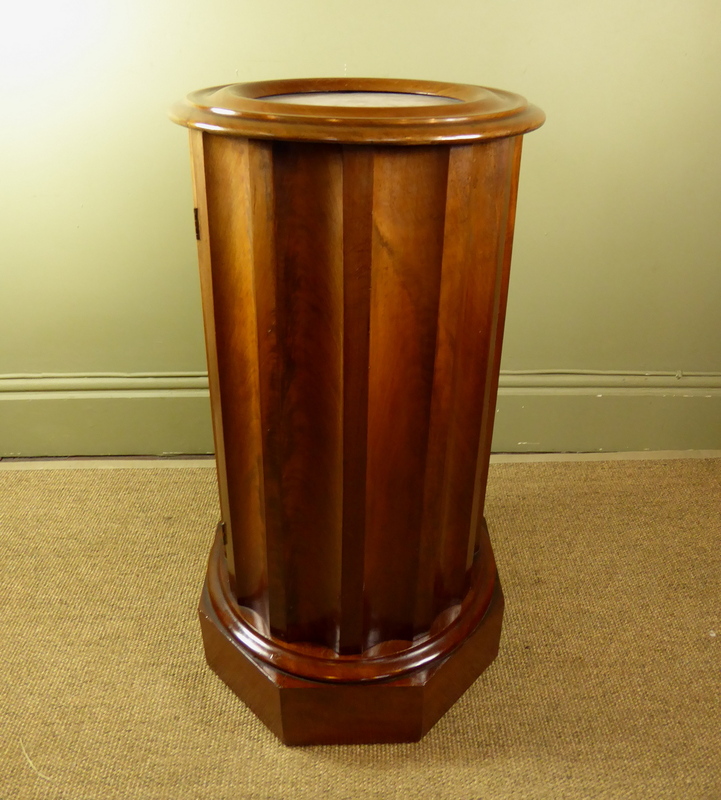 The mahogany cupboard with broad rounded mound rim, enclosing the marble top, above a body formed as a fluted column, incorporating a flush door, opening to a shelf interior. The column raised up on an octagonal plinth.